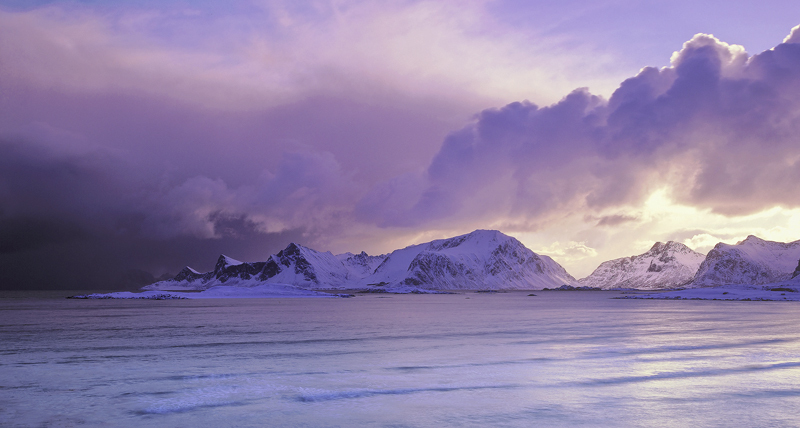 The most amazing clouds billowed off of the Flakstad peaks as viewed from across Yttresand bay shortly after sunrise. The sun seemed desperate to get through the cloud but the notorious weather had equally strong feelings about dictating the prevailing conditions too. The sky looked evil on the far left and had already started to obliterate the mountains. I took it while hope remained and quickly stuffed everything back in its bag before heading for shelter in the car. The storm won this battle.